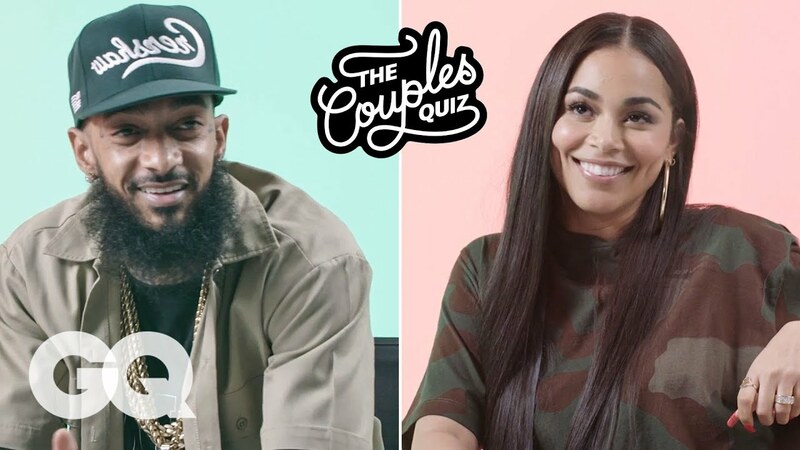 A week ago today, I was scrolling through YouTube and I came across a GQ video that featured Lauren London & Nipsey Hussle, a couple’s quiz. Since I like Lauren as an actress and Nipsey is a well-respected rapper, I decided to watch it. It was so cute, Lauren was her sassy self and Nipsey was so cool and calm and answered damn near every question correct, all but one six at least lol. To be honest, I’ve only listened to one Nipsey song, “Last Time That I Checc’d” and I like it, but I never listened to his whole album unfortunately. I do know that his first album Victory Lap was nominated for a Grammy this year. 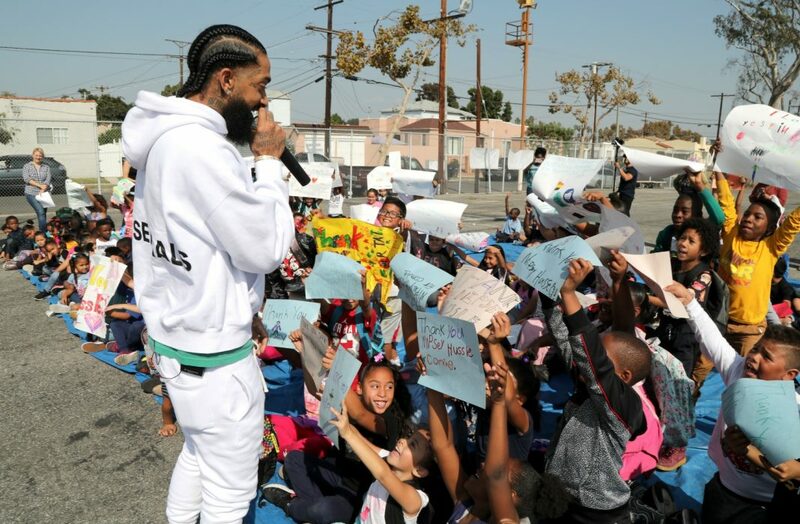 I do know that Nipsey was a man of the community. He’s from Crenshaw and Slauson, and he used to hustled so he could get money for his music. It worked and when he got the money, he gave back to the community that helped mold him. He invested into programs for children and even helped reconstruct a playground in his neighborhood of Crenshaw. He opened a clothing store, The Marathon Clothing, selling apparel with the city Crenshaw on it. On top of that, he bought out some of the other businesses in the plaza that his business is in. It’s been told that he even hired local artists and others in the community to work at his store. 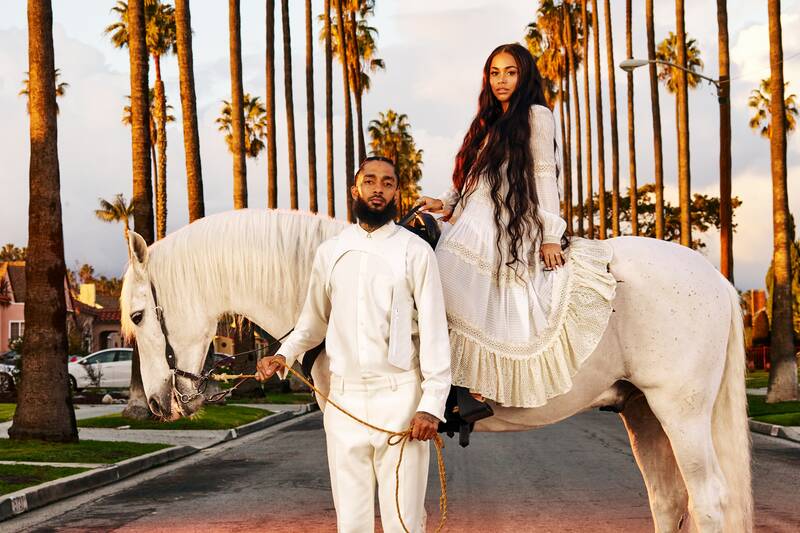 As far and his relationship goes, Nipsey and Lauren London kept their love life semi private. We would see the pictures and happy captions but never the negative, which is how it should be. They had a baby boy and kept him out of the spotlight. They recently gave us a glimpse of their relationship through GQ. So with little or just enough information I have on this guy, why am I sad that he passed away? Why do I get teary-eyed when reading other artists’ post on social media mourning him? Why do I shed a tear for his lady Lauren London and his kids even tho I’ve never met them? Why do I sit and read all the stories people told about him? The answer to all that is because…it’s sad to see a young man who was praised and respected by many, get killed by his own kind. It’s sad to see a young man who was giving back to his community get killed in front of his business that he worked hard for. It’s sad to see a young man grow from the streets and flourish into a well-rounded individual. I’ve lost someone close to me at a young age. He was 21 and my cousin; we grew up like siblings because that’s just how it was. I remember him from when he was in diapers and watched him grow and go off to college with me. He was killed by his own kind, some say it was someone that he knew. That was a hard time for me and it took me a year to stop crying about it whenever I brought his name up. It changed me, made me more paranoid. I couldn’t watch movies where people were violently killed and young. If I did, I would get emotional and cry. I’m better now, but I’m still a simp when it comes to those scenes lol. But he was into music and was a well-rounded cool, calm dude but sometimes your own people will hate on you. Maybe that’s why Nipsey’s death hit so close to home for me. All in all, I’m not going to act like I was a big Nipsey fan. I’m not going to fake it. Yes, I shoulda gave this man his flowers while he was here, but I didn’t. But…what I will do is respect his legacy. I am sad for his death because he didn’t deserve it. I will continue to pray for his family and hope that his killer gets that life sentence in prison. What are your thoughts on Nipsey’s death? Comment below and let me know.